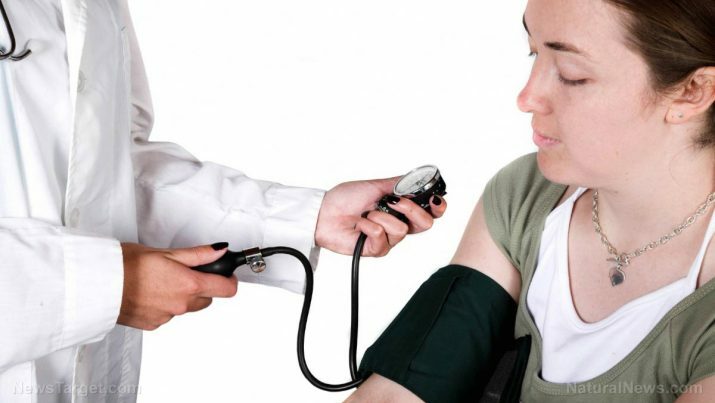 Hypertension is a dangerous condition that leads to a wide variety of complications. A study published in the journal BMC Complementary and Alternative Medicine looked into the diuretic and antioxidant properties of Vepris heterophylla, a plant native to Africa, and its potential role as a natural treatment for high blood pressure. Despite the prevalence of hypertension – the Centers for Disease Control and Prevention (CDC) estimates that about one in three Americans has the condition – its specific cause remains largely unknown. It is often attributed to stress but can accompany other underlying conditions, such as kidney disease. What is known are its many complications: Kidney problems, heart attack, stroke, and others. Hypertension is often treated using maintenance medications that cause a number of side effects, such as dizziness, fatigue, feeling of nervousness, skin rashes, sudden weight loss or gain, and even erection problems in men, among others. These adverse reactions are why many look to natural treatments for possible solutions. This aforementioned study discussed a promising, safe alternative. Vepris heterophylla, known in Cameroon as Kounikoutchoum, Hohoum, Gougouvetche, and Kotokolhi, is an African herb known traditionally as a treatment for cardiovascular diseases and malaria. Past studies have attested to the cardiovascular benefits of V. heterophylla, but none has looked into the plant’s diuretic and antioxidant properties. The researchers performed their experiment on adult rats, which they divided into several groups. Two groups acted as the positive control and were given diuretic medications furosemide (5 mg/kg) and hydrochlorothiazide (HCTZ, 10 mg/kg). The negative control group received only an equivalent volume of distilled water. Several other groups were tested with 50 mg/kg, 100 mg/kg, 150 mg/kg, 200 mg/kg, and 250 mg/kg of V. heterophylla aqueous extract. The researchers assessed how much electrolytes the animals lost through their urine in response to the treatment. They also took note of changes in the animals’ creatinine, urea, aldosterone, glucose, and albumin in urine and plasma levels. Possible indicators of kidney function and oxidative stress were also tracked. They found that doses from 150 mg/kg to 250 mg/kg of the aqueous extract caused an increase in eliminated fluids and electrolytes. The phytochemical evaluation also revealed the presence of phenolic compounds, sterols, flavonoids, and alkaloids, suggesting rich antioxidant properties. Hence, they concluded that V. heterophylla aqueous extract possesses diuretic and antioxidant properties. The researchers believe that the plant deserves further study as a potential treatment for hypertension. Exercise regularly – There are a number of ways exercise helps in controlling hypertension. First, it helps train the heart and improve blood flow. Second, it helps in reducing visceral fat that contributes to several health problems, one of which is high blood pressure. Third, it lightens one’s mood and prevents stress, one of the primary factors linked to hypertension. Follow a healthy diet – The Dietary Approaches to Stop Hypertension (DASH) is an approach aimed at lowering one’s blood pressure. It advocates eating the right food, which consists of fruits, vegetables, whole grains, low-fat dairy products, lean meats, fish, and nuts. Food items that are high in saturated fats, as well as processed food, full-fat dairy products, and fatty meats, are not recommended. Reduce salt intake – Sodium leads to an increase in the fluids retained in the body, which contributes to rising blood pressure. The best way to limit one’s salt intake is not to add salt to food. Instead, one can use herbs and spices to add flavor. Drink less and quit smoking – Moderate alcohol consumption may benefit the heart, but drinking too much leads to several health problems, including hypertension. Smoking raises blood pressure, especially after every stick. There is a risk that this elevated blood pressure may continue for extended periods. In any case, smokers have a higher chance of having a heart attack, high blood pressure, and a stroke. Unwind – Stress is one of the leading risk factors behind hypertension. Whether it’s from work or school stress must be managed to lower one’s risk of developing hypertension. Having a hobby or engaging in relaxing activities, such as meditation and yoga, will help in relieving stress and preventing its adverse effects. Discover how you can prevent hypertension and other precursors of heart disease at Heart.news.